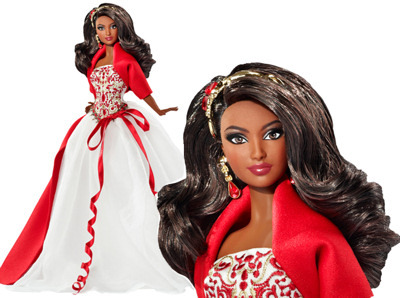 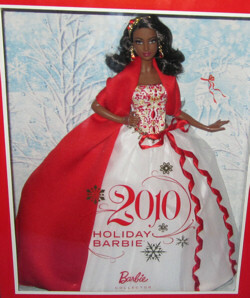 2010 Holiday Barbie Doll is wearing an elegant red and white gown with gold trim. 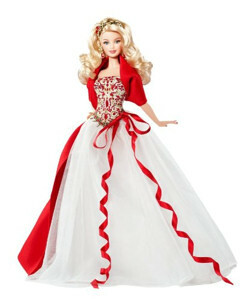 The dress has a full white skirt with a red and gold bodice with a dropped waist. 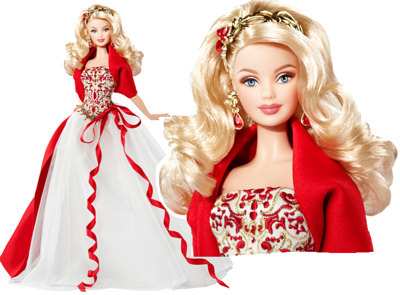 She has a long red wrap and a red ribbon bow and sash at the waist, along with ruby red chandelier earrings and a matching headband. 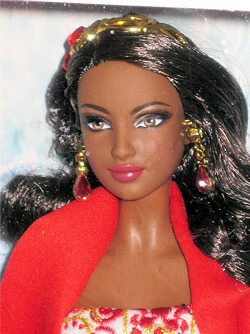 The Caucasian version has the Mackie face sculpt and long blonde hair, while the African American Barbie has the Goddess face sculpt and long dark hair. 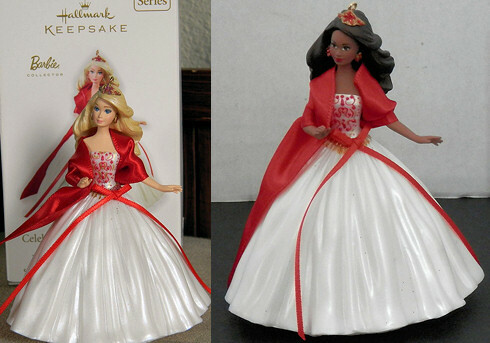 There was also a matching ornament. 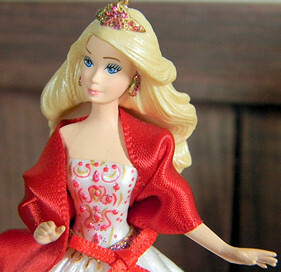 Both dolls have a new arm and hand sculpt with separated fingers. 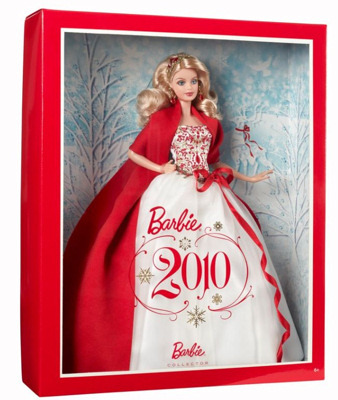 The box is trimmed in red to match the red in Barbie's dress.